Located in the heart of Leamington Spa, The Pump Rooms Gardens were laid out between 1844 and 1903 and are designated as Grade II on the English Heritage Register of Parks and Gardens of Special Historic Interest in England. Approx 5.5 acres in size, the gardens are now maintained by Warwick District Council as a valuable area of open space, taking on the role of the “village green” for informal recreation and enjoyment of local people and visitors to the town. 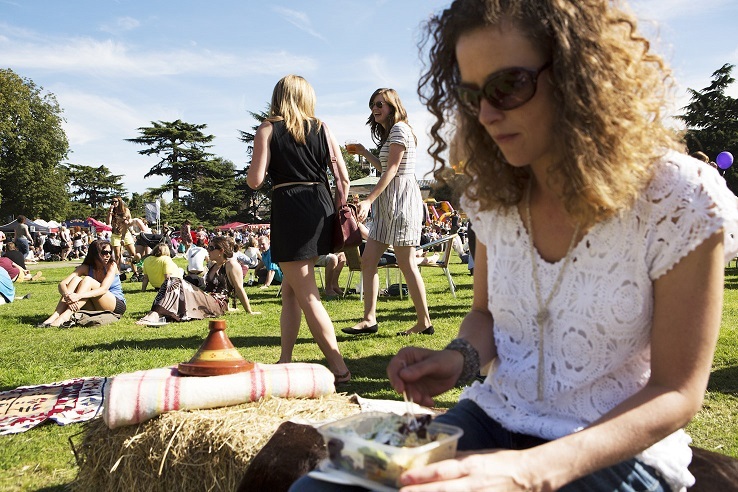 A wide and divers range of community activities take place in the gardens throughout the year including fun fairs, the annual Peace Festival and the popular Food and Drink Festival each September. The Gardens contain the historic features of the bandstand, original footpath layout, pedestrian bridge over the River Leam and the remaining arches that once formed the Linden Walk.